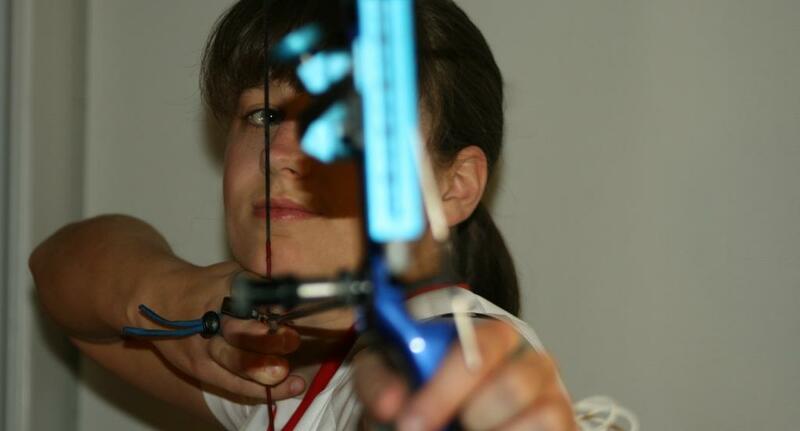 Every competitive Olympic recurve archer uses a draw length checker or “clicker”. A clicker is a device that assists an archer to draw their bow consistently. The clicker rides along the side of the arrow and produces a “clicking” sound after it passes over the point, hence the name “clicker”. 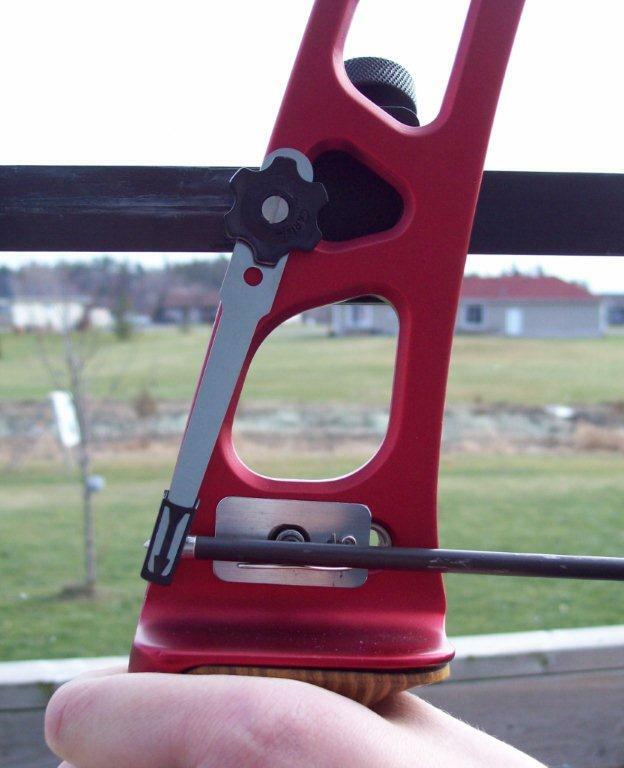 By consistently measuring the draw length of the arrow, you get a consistent power off the bow and therefore a more consistent grouping of arrows resulting in better scores. There is a lot of debate of when you should start to use a clicker. Anyone who wants to advance and develop smaller groups should start using a clicker as soon as possible. HOWEVER, since clickers take a lot of discipline, patience and practice, maturity is the key factor; age maturity and shooting maturity. If you are disciplined and maintaining consistent form, then you are ready for a clicker. I just wanted to ask, with regards to the form, if I should be expanding my chest during the draw (pulling your shoulders back towards the spine) in order to activate the back muscles to take the load rather than the arms. Shooting a clicker is a relatively simple process however; it requires the use of back muscles to create something called back tension. 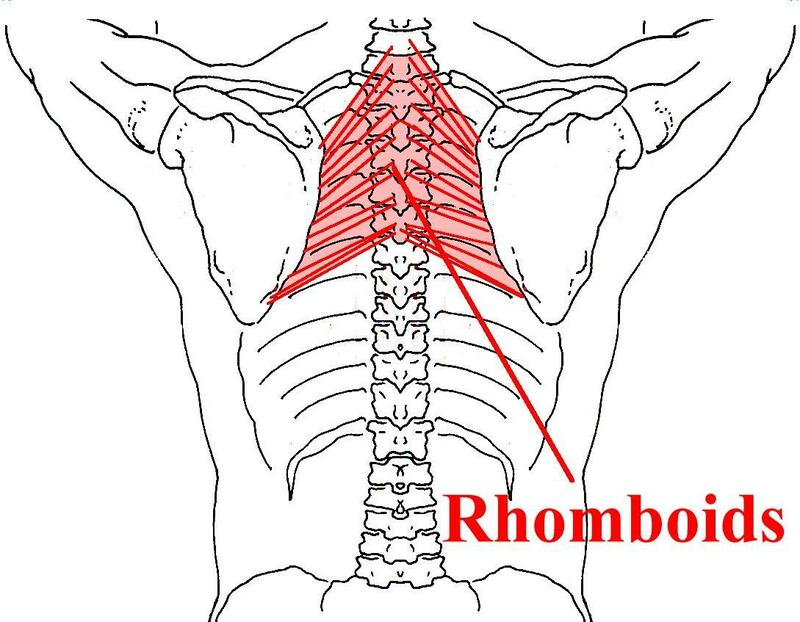 By compressing the rhomboid major muscles (between the shoulder blades and spine) together, it will draw the arrow past the clicker for the shot when you are at full draw. First, you need to determine the ideal location for your clicker. Have a friend mark where the tip of the arrow is at full draw. This will be the initial starting location for your clicker. There are tons of clickers on the market however there are two basic types of clickers; riser-mounted or sight-mounted. Depending where the initial starting location is measured it will help you determine the type you need. Once you have mounted your clicker follow this shot process. Nock the arrow, with the arrow under the clicker and on the arrow rest. Raise the bow and draw towards your anchor point. Continue to draw the arrow until the tip of the point is still just in contact with the clicker. Aim and while still maintaining, squeeze your rhomboid major muscles together. Once you hear the “click”, relax your fingers and finish the shot. It is important that you are able to reach your anchor point at full draw. The clicker needs to be within the distance so your rhomboid major muscles can activate the shot. Remember, over the course of an entire day of shooting, your muscles weaken and you will have to work harder to draw the same amount, it may need to be adjusted to find the ideal location for entire day of shooting. Important: Once you have determined your clicker location, leave it alone. Making any adjustments will affect all your sight marks, and they will need to be adjusted too. If you have never used your rhomboid major muscles before this is going to take some time to master. Practice using your rhomboid major muscles with the following exercise. With palms down and your forearms parallel to the floor, bring your fingertips together at chin level. Try squeezing your rhomboid major muscles together. You should witness your fingers spread apart about an inch. This is all the space you need to activate the clicker at full draw. You can also check out this website for exercises to help develop strength in your rhomboid muscles. 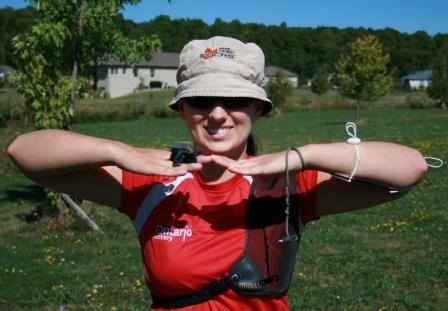 The mastery of a clicker is essential for any competition archer. You will need to work on it regularly however once you master the process a clicker will become your best friend.